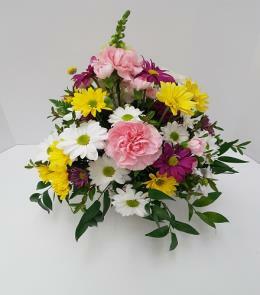 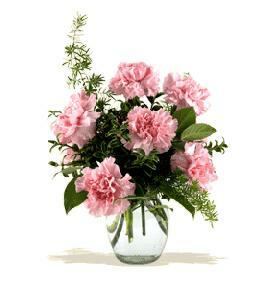 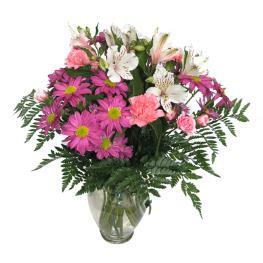 When only the best will do, this fresh flower arrangement delivers. 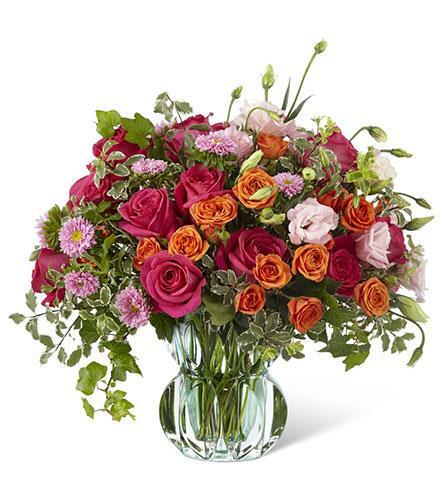 A collection of colors and textures that keeps the eye dancing from one point to the next, this artisan floral design blends pink roses with orange spray roses, lisianthus, pink Veronica, pink asters, and orange protea with the lush green foliage of ivy vines, variegated pittosporum.. 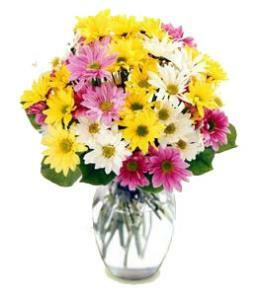 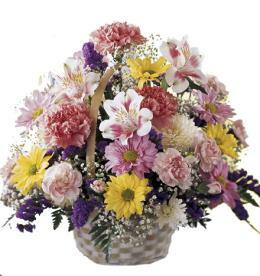 Presented in a glass vase, set to catch the eye at every turn, this luxury flower arrangement is an impressive and thoughtful way to celebrate Mother's Day, a birthday, an anniversary, or to offer your gratitude and thanks. 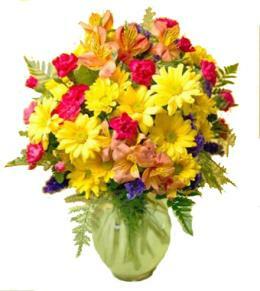 Luxury Flowers - Only The Best Luxury Bouquet.